Luckily it looks like the issue is for players who have a full friends list. GiantBomb has the scoop. 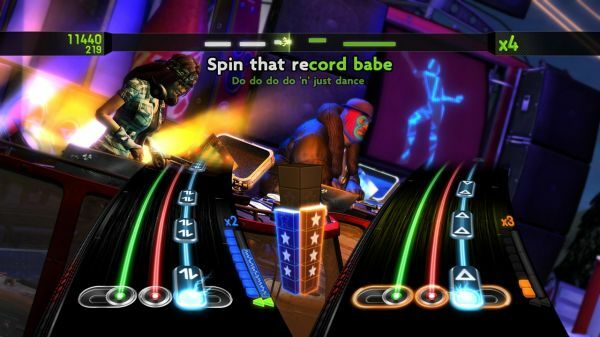 It sounds like this was already corrected on the PlayStation 3, but over on the Xbox 360, if you're experiencing lockups at the end of every single song, it's probably because your friends list is full. Apparently there's some sort of issue related to the way the game pulls scores from your friends list and displays them in-game, and if you've got a full list, the whole game explodes! Cool, right? A patch is in the works and should be out by weeks end. Until then one of your friends will have to get the boot. Sorry Grandma - you aren't helping my Legendary Halo Reach playthrough anyway!